Johnny Sokko has a knack of being in the right place at the right time. Even when the place is a ship being attacked by a monster, this is only a stepping stone to a much greater adventure. If you are here you know what the show is about. Even the title is quite descriptive: JOHNNY SOKKO AND HIS FLYING ROBOT. In case you've forgotten how it all began, here is a recap. Earth just can't seem to stop attracting alien invaders. In this case it is Emperor Guillotine, a very strange, insane being with incredible power and a vicious army at his disposal. This army is known as the Gargoyle Gang and is comprised of humanoid aliens, clones, earthmen and who knows what else. The Gargoyle Gang members all resemble wannabe Che Guevara impersonators, except for their immediate commander, who is code-named Spider. Spider likes the more standard East German-inspired attire. All in all they seem to be pretty terrible marksmen. I believe this comes from most of them having originated in a dark planet somewhere. Our sun hurts their eyes enough that they can't shoot an elephant 3 feet away. Has to be something like that. Another rather unpopular fetish Emperor Guillotine has is the unleashing of giant monsters upon the Earth, more to the point, upon Japan. One such monster is Dracolon, who had been sinking ocean-farers. News of the sunken ships worry the population, yet boats still navigate about Japan. On the "Merry", a passenger ship, a young boy travels alone. 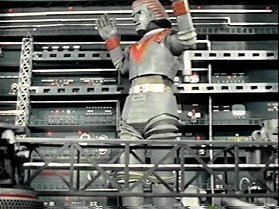 This is our hero, Johnny Sokko. Another passenger, impressed with the boy's courage in traveling during such times, strikes up conversation with Johnny and introduces himself as Jerry Mano. Jerry is trying to pass as a writer on holiday but in reality he is a not-so-secret agent doing surveillance for the world peace organisation UNICORN. He almost lets that escape while talking to Johnny, and Johnny actually witnesses Jerry, aka Agent U3, speaking on his secret two-way pen radio. Jerry is a happy-go-lucky sort, a child at heart and immediately befriends the very open-hearted Johnny. Unfortunately Dracolon is nobody's friend and so he sinks the Merry. As these things usually go, Jerry and Johnny both survive the sinking, completely dry with neatly combed hair, and wake up on an island in the pacific. The island however is not uninhabited. The Gargoyle Gang set up a base there, and they have the kidnapped Earth scientist Dr. Guardian to create a secret weapon for them. The weapon, supposed to be the ultimate angel of death at service of Guillotine, is known only as Giant Robot. The 30 meter tall, 500 ton automaton never receives an actual name. According to Dr. Guardian this is a moot point, because he intends to destroy the base, the robot, and the Gargoyle Gang members on the island with a nuclear blast. For this reason he doesn't care that Johnny is playing around with the wristwatch used to control Giant Robot. You see, the robot will only obey the orders of the first person whose voice he hears. The watch is a microphone. Johnny talks into it and his voice is recorded. The Gargoyle Gang is looking for Johnny and Jerry, though, and Dr. Guardian tells them to escape while he holds off the goons. The shipwrecked duo comply and the base blows up. Except for Giant Robo. The atomic blast somehow channeled energy into his power cells and activated him. It becomes obvious that he will listen to Johnny, and so Johnny has Giant Robot fly him and Jerry to Unicorn HQ. Due to his exclusive command of the robot, Johnny is now an indispensable asset to the security of the planet, so, child labour laws be darned, he becomes a full-fledged Unicorn agent and receives the codename U7. On episode 6 we find that Johnny isn't the first child prodigy to be accepted into Unicorn. Mari, aka Agent U6, is about the same age as Johnny, shorter, and annoyingly cute. Not to mention voiced by the same voice actress. This isn't a detriment since the voice actress does a great job on all accounts. Mari introduces herself by showing off her language skills. She speaks 39 languages and is an expert code cracker. She's also not a bad shot at the range and thinks of Giant Robo as a person. Giant Robot rests from combat stored away in a convenient giant hangar. 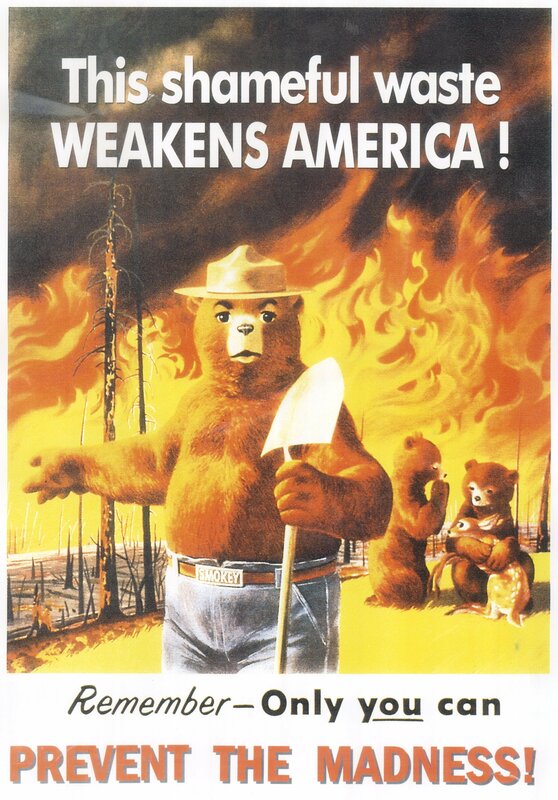 Smokey's beam isn't used until the fourth episode. When Spider fails to take care of the nuisance represented by Unicorn, Emperor Guillotine brings in silver skinned Dr. Botanus, who looks like he escaped from an Irwin Allen series. And YES he is played by the "Jinzo Ningen Kikaida" Prof. Gill actor. He even shares scenes in episodes 3 and 17 (featuring the Gargoyle Vine) with Shimizu Ichiro, the guy who played the curator of the museum in the Silver Cat episode of Kikaida. I liked Spider a lot and was sad when he was written off. In compensation, he was replaced by the memorable Harlequin. No, not Harlockin, in spite of the eye patch and perpetual bad hair. Seen only four times, Harlequin at first posed as a defector from the Gargoyle Gang and the trusting Johnny just went with it. Silly boy. Harlequin is the kind of villain who'll shoot children (like the Hayakawa Ken impostor in Zubat), which makes him really unpopular at parties. He also shot his own men when staging an "escape" from Gargoyle. He's not really top dog in there, because sometimes he is under the command of Dr. Botanus. Harlequin's english voice sometimes changes. This would have made sense had they gone with the original story, in which he is killed in an explosion then his parts are recovered by the Gargoyle Gang and re-stitched, becoming Fangor. 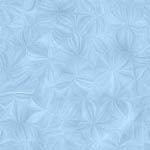 Harlequin's attire resembles the pattern of a diamondback snake. Speaking of Fangor, his name in the original was Red Cobra. They changed his english name a couple times because his appearance also changed for no reason at all. Bizarre. I am guessing he got his teeth knocked out at some point and they took a while to grow back. In the meantime he was forced to wear a tattoo, perhaps as a symbol of shame. When he appeared minus fangs, he was named Dangor. More to come as soon as I get some pics. 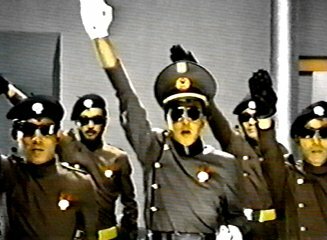 It's hard not to like Johnny Sokko, in spite of all its shortcomings. The show has an inescapable charm in its sheer innocence. Not only it is a children's show, it has the advantage of looking like it was thought up by one. The show understands its target audience and doesn't talk down to it. JOHNNY SOKKO, unlike many other kids shows, has the child's imagination at heart, and because of this it succeeds, while politically correct moral-of-the-week shows are forgotten and never stick around like this one. Consider the dangerous situations often faced by Johnny and Jerry. Johnny isn't lectured on why he shouldn't like guns or some silly thing, he learns how to use one and he uses it, often killing Gargoyle Gang members. Little boys can relate to that, they enjoy the fantasy and adventure and can enjoy a show that doesn't think these hi-jinks would influence children into becoming mass murderers. At times Johnny meets a friend who turns out to be a foe, or, in the case of X7, someone who starts off an enemy and becomes a friend.There are gradients beneath the black-and-white, good vs evil universe of the show. If JOHNNY SOKKO looks cheap and dated, so be it. It's retro style and over the top shenanigans don't fear judgement and it is all wonderful for children of all ages. After nearly 40 years it is still captivating the hearts and imagination of children and adults, with its focus on fun storylines, delightful characters, imaginative monsters and the friendship between a boy and his flying Giant Robot. JOHNNY SOKKO's only real problem is its low budget. 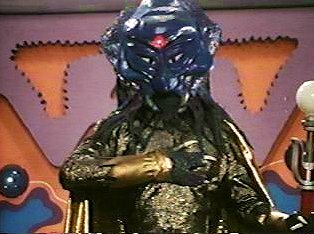 Monsters are mercilessly re-used, one of them appearing in three episodes, sometimes parts of one costume go into the making of another, and Giant Robot himself is recycled into not one, but two monsters: Thorozon (who gets used twice) and Cleopath. Yet somehow the limitations on the budget do not forbid interesting storytelling. Johnny and Jerry can travel to far away lands, face off hordes of Gargoyle Gang members, flying around in jet packs and destroy UFOs, long before computers were used to do everything you see on tv. The show's concept has its origins on the GIANT ROBO Manga, itself quite similar in many ways to GIGANTOR (Ironman 28), also created by Yokoyama Mitsuteru. 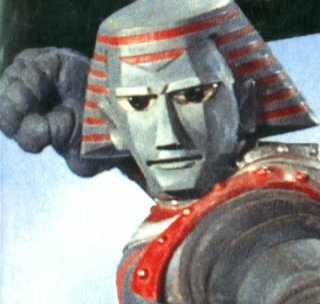 Whereas GIGANTOR's head appeared permanently clad in a greek helmet, GIANT ROBO's head seemed inspired by the Sphynx, with its Pharaoh headgear (decades later even Ultraman would be wearing a roman gladiator helmet in ULTRAMAN NEXUS). Both mangas would have successful anime adaptations, with GIANT ROBO the more recent of the two. I never cared to watch the GIANT ROBO anime and have no interest in it. But I love the JOHNNY SOKKO series. Yokoyama Mitsuteru was also responsible for the AKA KAGE ninja hero tokusatsu series, as well as some anime shows. JOHNNY SOKKO was not the first "boy and his robot" story nor would it be the last. But it was the first Toei show to make constant use of giant monsters. You can thank the success of ULTRAMAN and SPACE GIANTS for that. The original stories were written by Igami Masaru, Abe Hisashi, Matsuda Teiou and Hichi Jo, and rewritten by Reuben Guberman. The show was imported in 1969. At the time, it was standard for American International Pictures to buy foreign properties and give it "the treatment". This consisted of "americanising" the products so that ethnocentric insular americans could digest them without reflux. Also known as "dumbing down", the americanisation actually worked fine with Johnny Sokko, as not much was really damaged in the process. Reuben Guberman was not new to rewriting scripts, having had his hands on everything from 8th Man to Prince Planet (Yusei Shonen Poppy). The entire dubbing was done by Titan Studios, using voice actors who had previously done work on Godzilla movies and Tezuka Osamu series. The producer was Salvatore Billitteri, and voice cast directing was done by Manuel San Fernando, whose specialty had been directing movies like those "El Santo y Blue Demon" mexican wrestling adventures. Those movies had an entire episode of "The Incredibly Strange Film Show" devoted to them. Their american dubbing was often supervised by K. Gordon Murray. 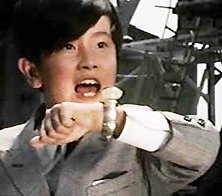 Ultimately the voice of Johnny Sokko was dubbed by accomplished thespian Bobbie Byers, who also did the over-cute Mari's voice. Now, as you know, AIP was Roger Corman's company. Corman, the king of cheap quickies, frequently re-used talent. Even famous actors like Jack Nicholson and Peter Fonda had their humble beginnings in Corman schlock. Bobbie Byers was an actress in some of those films, most famously in "Wild Rebels", a pre-EASY RIDER biker flick. She was also in the exploitation flick "Savages from Hell", directed by the aforementioned K. Gordon Murray. Somehow that tied her to AIP and she landed the role of Johnny. In spite of the acting talent, there were technical difficulties in some episodes of JOHNNY SOKKO. Mostly there were lip-synching issues. I am thinking the metrics were not well planned, because other areas of audio, such as the sound effects and music were also often out of whack. The biggest problem was the background music, because someone decided to remove the original music from certain scenes and replace it with music that didn't make as much sense to the scene. Sound effects also suffered, with guns being fired and no sound coming out, pistols sounding like machine guns, etc.. These sound effects problems were usually fixed in the AIP export version of the show, since they are not in the portuguese and spanish versions (haven't seen the french yet). I don't know why the sloppiness. 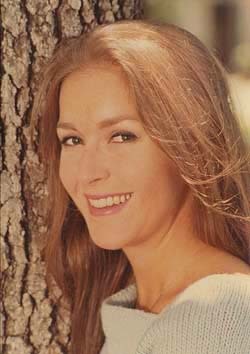 Producer Billitteri had been responsible for the dubbing of "Destroy All Monsters", "Frankenstein Conquers the World", "Godzilla vs Hedorah" and "Space Amoeba". I haven't seen "Space Amoeba", but the dubbing on the other movies was actually quite good. I guess tv shows were not high on the priority list. Sometimes, in GIANT ROBO, characters or locations were introduced with japanese language subtitles in the shot. For some reason AIP decided to remove those, so some shots look different from the original japanese version due to cropping of the frame during the pan and scan process. You can generally tell because these shots look over-exposed in JOHNNY SOKKO. 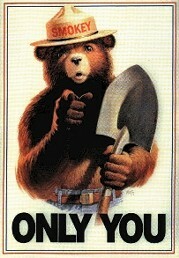 Images are for viewing only.